In May 2007 the centre of Canberra was hit by a severe hail storm causing significant building damage across the CBD and surrounding areas including the ANU Campus. Llewellyn Hall, Canberra’s only true concert hall and one of the best acoustic venues in Australia was one of the ANU’s facilities that was severely damaged. 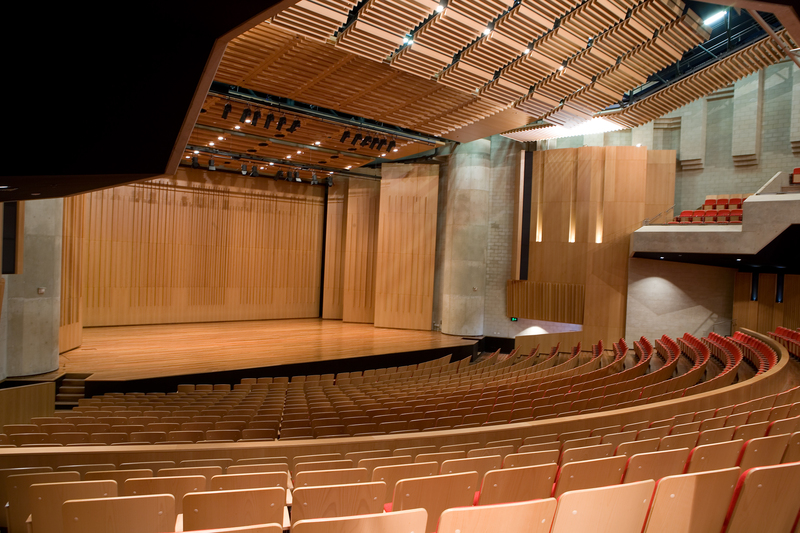 Construction Control initially provided emergency assistance to the ANU immediately following the storm and after a couple of weeks was requested to commence the design and delivery of a major repair and refurbishment to the heritage listed building and concert hall. The impact of the acoustic treatment on the award winning interior design was reviewed by the original architect Daryl Jackson. Following collaboration with Arups, the acoustic engineers, the ANU and Daryl the final interior and acoustic design was approved. The outcome for the ANU was a highly flexible, acoustically sound and modern facility that would meet their needs into the future.